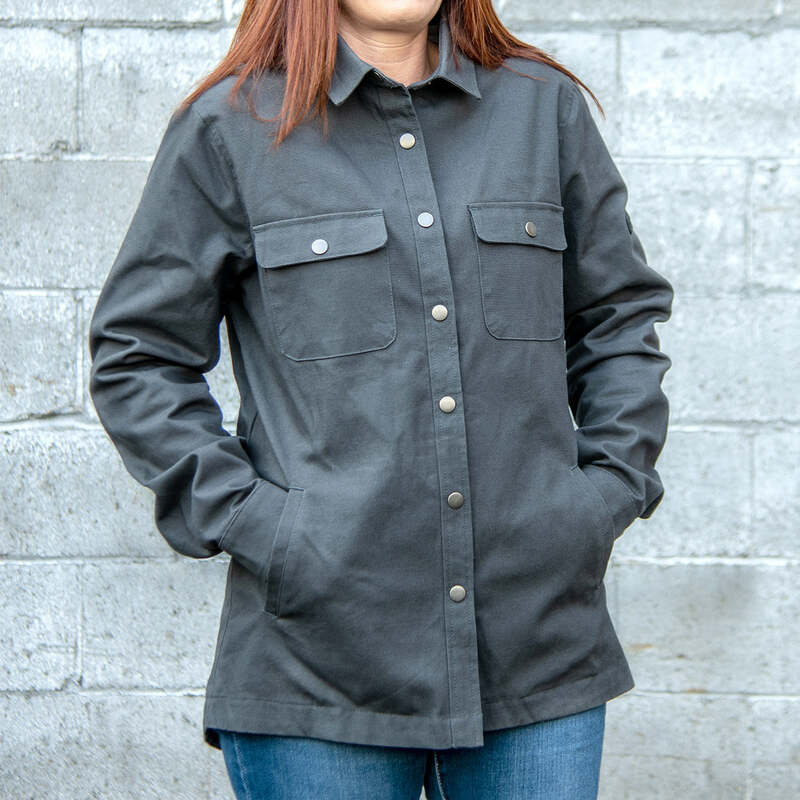 Step out into chilly weather with this versatile and stylish 100% cotton canvas shirt jacket with 100% cotton plaid flannel lining. It's styled with left and right chest flap-patch pockets; a snap-front jacket closure and snap closure cuffs; a self-goods spread collar; set-in sleeves; an even-hem dropped tail and hemmed bottom with a back vent; a back yoke; and a rubber patch embroidered on the left sleeve. Color(s) available at the Boeing Store: Dark Gray. Imported.